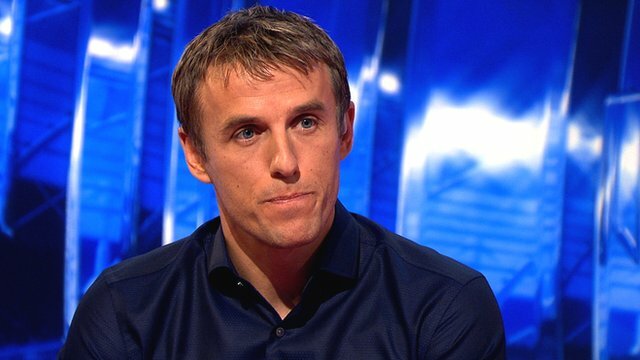 Valencia CF: Phil Neville appointed as Valencia CF's assistant coach! Phil Neville appointed as Valencia CF's assistant coach! I had mentioned in one of my recent posts that Ian Cathro, Nuno's assistant coach at the time, had resigned for personal reasons. He was homesick and wanted to coach in England, and is now close to Newcastle United. Valencia CF has made official today that his replacement is former Manchester United and Everton player Phil Neville. He had partaken in BBC's Match of the Day segment, for those who watch that. Apparently, he's a good friend of Lim's and Nuno has said that his experience will benefit the club a lot. Keep an eye out to see him on the bench beside Nuno this year!